Get ready for another summer of spectacular theater! From June 14 - August 9, 2019, Adirondack Theatre Festival returns to Glens Falls for its 25th season. This summer, the Adirondack Theatre Festival will present four mainstage productions, a concert reading, a "greatest hits" cabaret, a magical comedy show, and a dinner theatre for kids at the Charles R. Wood Theater - 207 Glen Street, Glens Falls, NY. Wondering what to expect? You will see top-level professional artists performing major new works. Below, you'll find a list of this summer's productions. 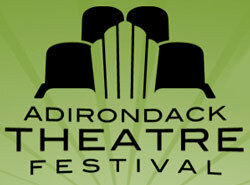 Mark your calendars and find out why the Adirondack Theatre Festival is a must-see! « Find More Things To Do in Glens Falls NY!